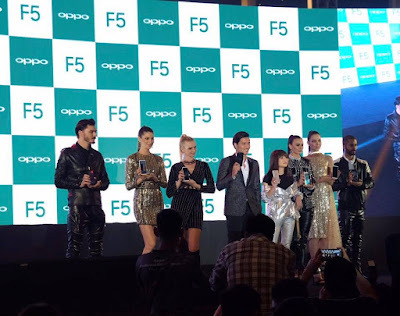 OPPO has officially launched their ‘Selfie Expert and Leader” OPPO F5 in Kuala Lumpur recently. The all-new OPPO F5 features full-screen display that comes with an 18:9 aspect ratio display and sports the latest A.I. Beauty Recognition technology that is designed to take selfie photography to a whole new level by personalizing beautification on a selfie image. F5 comes with a 20MP front camera which when paired with f/2.0 and the latest A.I. Beauty Recognition technology, allows users to capture perfect selfies anytime, anywhere, making the F5 an ideal phone for all types of users. Additionally, the OPPO F5 also introduces ’Facial Unlock’ access for instant unlocking of the phone. With the F5, users can capture professional-grade selfies effortlessly all day. OPPO’s A.I. Beauty Recognition technology gathers information and learns the specific facial features of different people from its global image database of human faces. Professional photographers and make-up artists were consulted during the R&D process, resulting in the A.I. technology having the ability to emulate those professional skills that can help selfies look more attractive. Additionally, the A.I. Beauty Recognition is able to recognize the subjects’ skin tone and type, gender and age, match them against its database and subsequently make beautification enhancements that are personalized for each individual in the selfie. With more than 200 facial feature spots scanned, the A.I. Beauty Recognition technology is able to detect your face in detail and refine your selfie. The F5 features a 20MP front camera with an F2.0 aperture and a 16MB rear camera with F1.8 aperture. Compared with other competitors' 13MP or 16MP camera in the same price range, the F5 has a higher resolution and better photo quality. The cameras can deliver Bokeh effects and the front HDR solves any over-exposure issues. 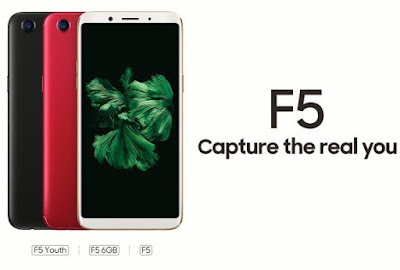 The F5 will be OPPO’s first 6.0-inch full-screen FHD+ display device, giving the user a vivid visual enjoyment without the need to increase the size of the phone. It features a high-resolution 2160 x 1080 screen with 18:9 aspect ratio. 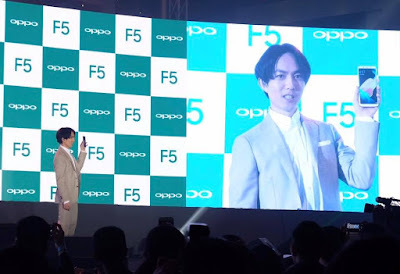 The F5 follows OPPO’s streamlined design philosophy - the sleek unibody offers a visually slim appearance without any cut-offs, with a gracefully curved body that fits well in the palm, expressing a simple and elegant look. A user’s palm will not feel tired even after using the phone for a long time, either from playing games or chatting. The 0.4mm laser string is carved onto the phone – a delicate linear finish that adds detail to the phone body. 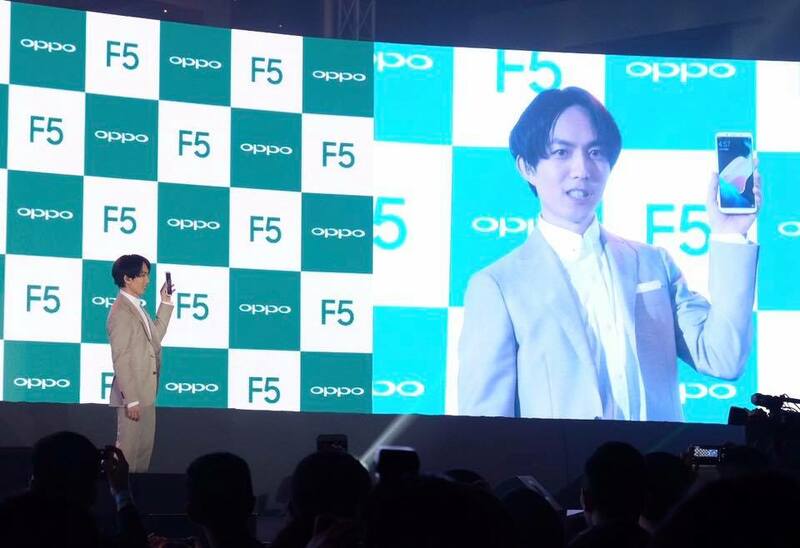 The F5 comes with Facial Unlock, the new face recognition technology that will recognize its user and unlock the phone. If the user prefers to use the fingerprint unlock function, the fingerprint reader is now on the back of the phone, giving way to a full front screen. OPPO’s Color OS 3.2, together with 4GB RAM + 32GB ROM memory gives the operating system a much smoother user experience. A triple slot tray supports two Nano cards and one TF card simultaneously. The O-share file sharing technology is 100 times faster than Bluetooth. The flagship Octa-core CPU processor uses less energy, produces less heat while giving a higher performance speed (40% increased performance compared to the previous Color OS versions). The F5 battery life is exceptional, thanks to the 3200Ah battery and the Continuous Optimizing technology which manages the apps running on the device, allowing the user up to 12 hours of continuous use (in a simulated test). The Do Not Disturb function for gaming will display an incoming call in the form of a banner. Your gameplay will not be interrupted, while ensuring you will not miss any important calls. The OPPO F5 available for sale with the price, RM1298. Pre-orders can be made either offline at OPPO concept store and 888 authorised OPPO sales points across Malaysia or online at OPPO Official Website and from OPPO e-commerce partners’ site such as Lazada, 11street, Shopee and others. Consumer may also head to Celcom and Senheng for pre-order. F5 is available in Black and Gold colour variants. On a site note, the first sale roadshow will take place on 11th November 2017, 3pm in Sunway Pyramid in KL, Sunway Carnival Mall in Penang and Bandar Aeon Dato Onn in Johor Bharu. Two other models will also be available later; the F5 6GB edition and the F5 Youth, to give OPPO fans more choices to suit their needs. For more information, kindly refer to OPPO official website and Facebook. eLaNa kHoNg. Picture Window theme. Powered by Blogger.